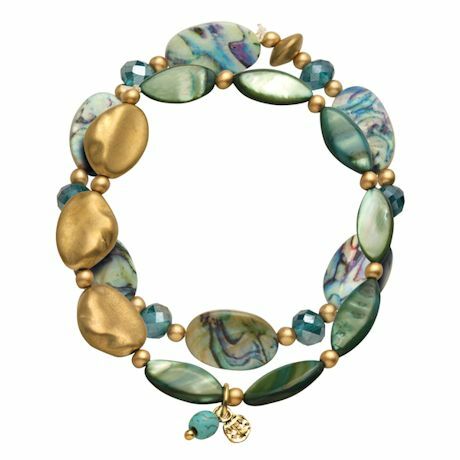 Inspired by the beauty of the sea; Golden swoops, ocean-toned handpainting and sparkling accents. Lightweight metal, acrylic and rhinestones. 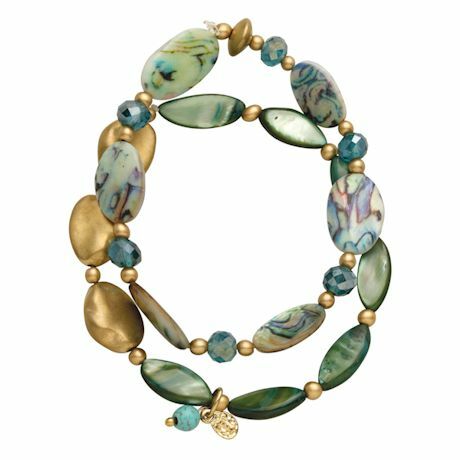 Two-strand stretch bracelet fits wrists up to 8".